He is the Iraqi player on just about everyone’s lips at the moment. Rebin Sulaka has been receiving praise ever since his first international call-up, and recent #WCQ performances have earned the defender even more rave reviews. But what is the back story to this young man and how is he finding life as a Lion? Without much further ado, Sulaka reveals all. Rebin, can you talk the readers through how you started playing and the early part of your football career? I started playing football from a very young age. When I moved to Sweden as a kid it was a great way to make friends and learn the language. My first club was Eskilstuna City FK. What are your strengths and favoured position? It would have to be as a central defender. I feel I am strong, have great vision and also good with my feet. What players did you admire growing up? Any of which from Iraq? Like everyone in Sweden, Zlatan Ibrahimovic is someone I look up to. Not just on the pitch but off it as well, he has a brilliant personality and an idol of mine. My all-time favourite Iraqi player is Nashat Akram. I always admired his style of play. Where are your family from in Iraq? They must be very proud seeing you represent the nation. We are from the north, a place called Ankawa, just outside Erbil. They are extremely proud! My mum watches Iraqi television all day to catch up on football news. She’s my biggest fan. How did your first international call-up come around? I was 23 and it was Akram Salman who called me up. It was for a friendly match away to Japan two years ago. It was unbelievable. By far the biggest game of my life at that time. Although we lost 4-0, it was an unforgettable experience to make my international debut. Playing in front of 60,000 fans in Yokohama is an occasion I’ll cherish for the rest of my life. How do you find the national team in comparison to club football? The standard is of course higher. We have so many talented players in the national team, players like Ahmed Ibrahim, Brwa Nouri, Ahmed Yasin, Saad Abdul-Amir and Ali Adnan make the job so much easier when alongside them. The tempo is a lot quicker during training sessions which we try to take into our game. What has it been like in the camp? Good atmosphere with all the boys? Yeah the atmosphere is amazing. The boys are so nice to me and I get on with everyone. They are trying to teach me Arabic too. It’s coming along, slowly but surely! Hopefully soon I’ll be able to communicate better but nonetheless the chemistry is great between us. How is life under new manager Basim Qasim and how does he compare to Radhi? I have not got a bad word to say about both of them. It’s been much of the same since Basim Qasim took over. They both know what they are talking about and are very professional. You have performed brilliantly in all your international games. What stands out the most for you so far? I would like to think I have been playing at the same standard in every game so I don’t have a stand out. 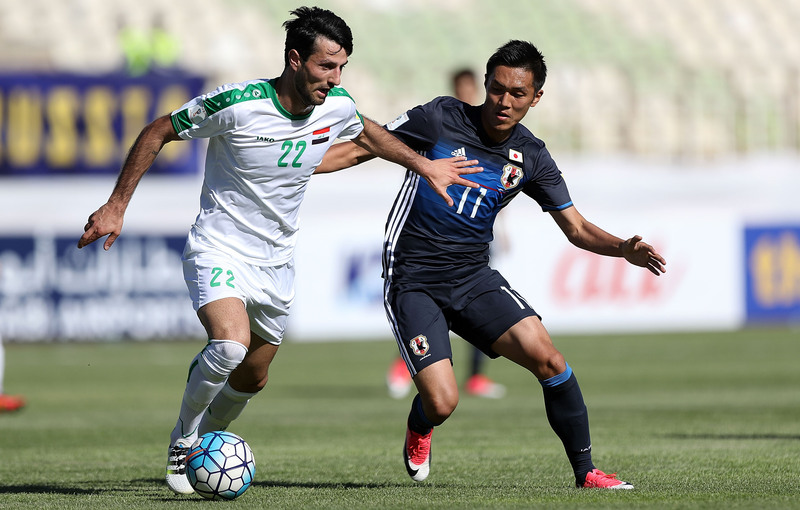 I have been happy with all my performances for Iraq. How would you sum up this #WCQ campaign? I joined the set-up three games in and it’s definitely been a lesson learned for us all. Personally, I have developed greatly as a player because of this experience. 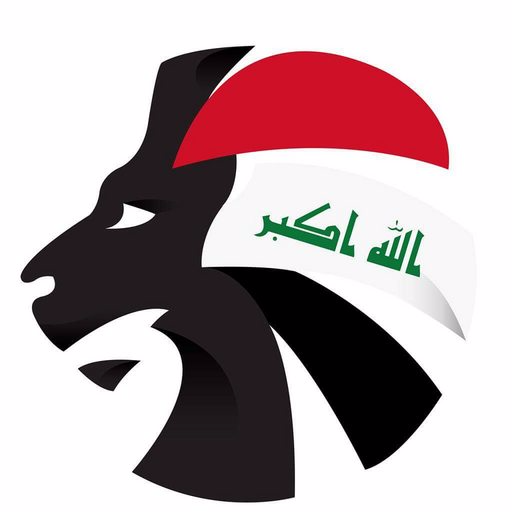 We know and are very understanding of Iraqi supporters’ disappointment in us not progressing to the World Cup. But it’s important they are aware that we also share this sadness and will continue to try improve and use football as a way of happiness for all. The friendly ban being lifted has boosted Iraq. Are you excited about the thought of playing at home? It would be a dream come true to play in my home country. I get goosebumps thinking about it. What next for Rebin Sulaka? Just really to keep improving and become a star for the national team. I’m hopeful of finding a better club to play for next season. The goal is to feature in the Champions League and World Cup so hopefully one day I can achieve that.